Join our Green Island Day Tour as we board the Green Island Ferry and enjoy a day full of action! 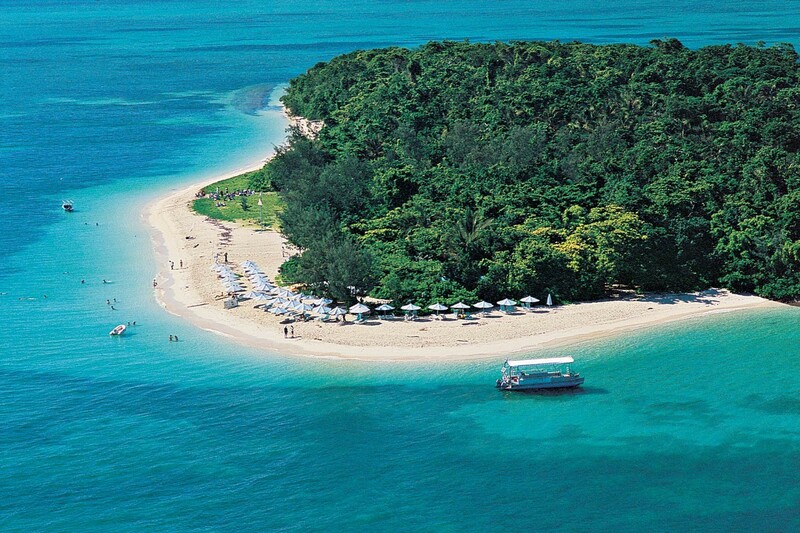 Green Island is located 27 Kilometres east of Cairns and is described as a tropical paradise. The Island is composed of pristine white sandy beaches and is covered in tropical rainforest. The coral reef of Green Island consists of a variety of unique sea life! On the day of your tour, make your way to the Reef Fleet Terminal and enjoy complimentary tea and coffee, whilst you wait for your ferry to depart. 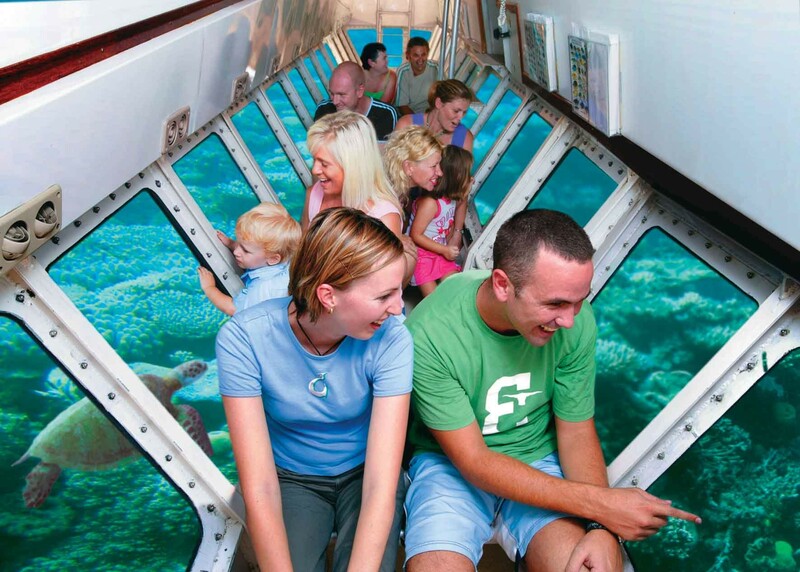 The duration of travel from the Reef Fleet Terminal across to Green Island is approximately 1 hour. Enjoy a day of snorkelling, sightseeing or just relaxing at Green Island, (one of the world’s premier island destinations). You may wish to add an additional buffet lunch upgrade which will be served on board your ferry between 11:30-1pm. 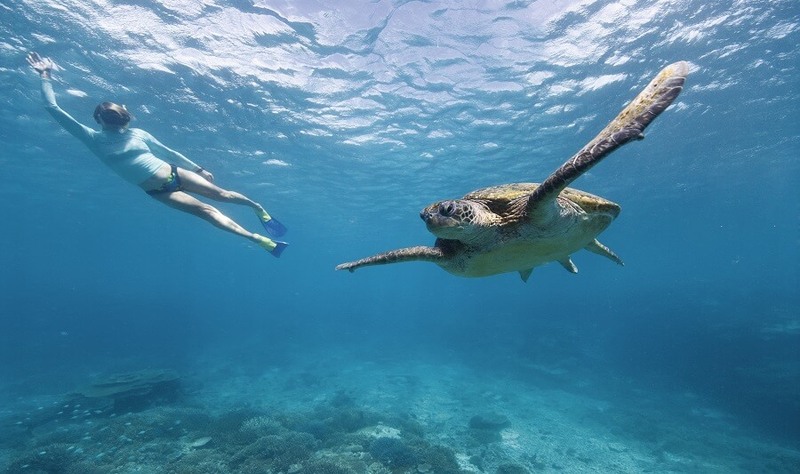 Your experienced guide will undergo a snorkelling demonstration, and at the completion of this, you will have the opportunity to decide whether you explore the coral reef with the use of snorkelling equipment, or by boarding the glass bottom boat. 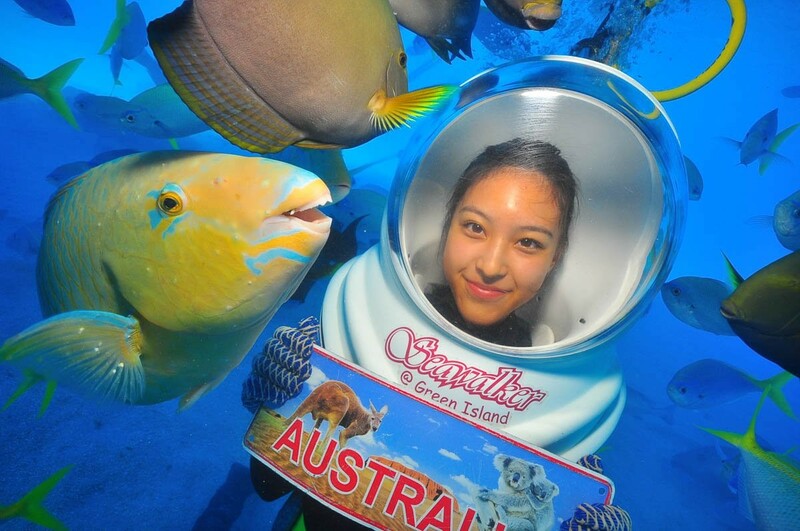 Either way, you will be thrilled with the amazing marine life which is found below the surface. 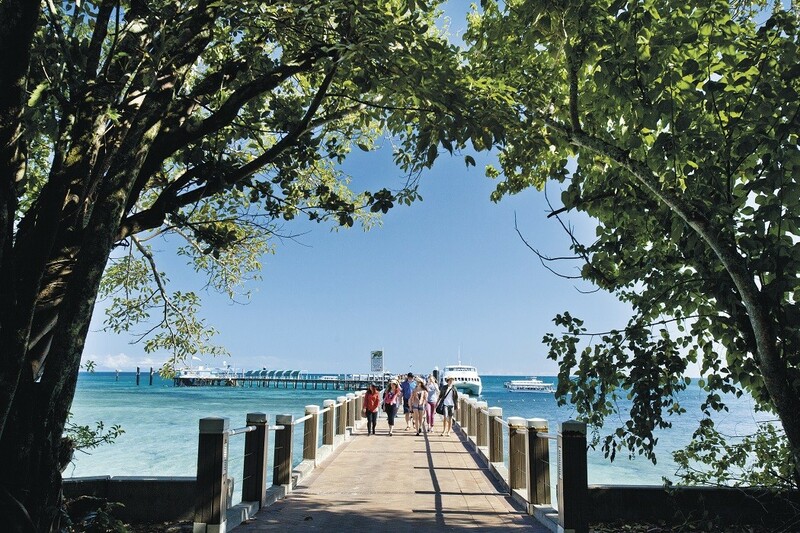 Green Island offers a range of tropical rainforest walking tracks throughout the National Park. Take the opportunity to relax on one of the many pristine beaches, or explore the surrounding reefs. Throughout the day, we offer several additional upgrades which include, Helmet Diving, canoe hire, helicopter flights, and semi-sub tours. 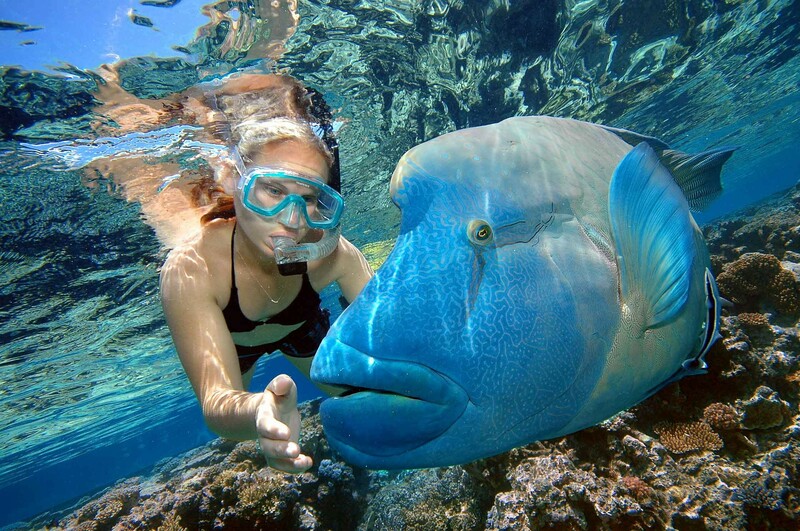 Prior to your departure from Green Island back to Cairns, take the time to witness the spectacular fish feeding display. 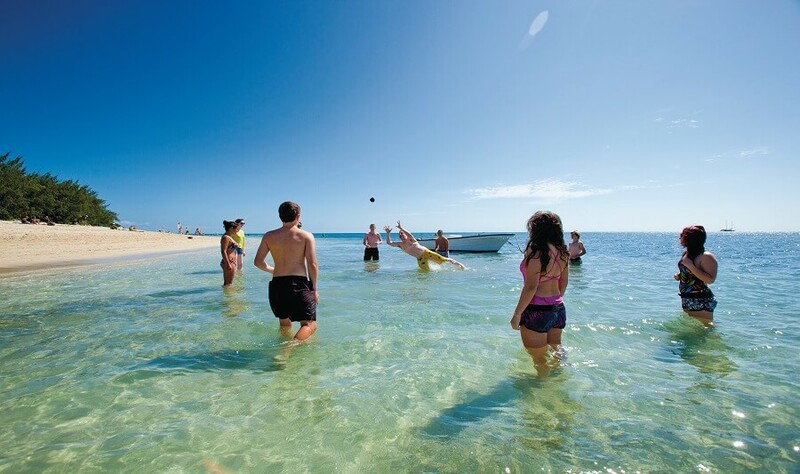 The Green Island Day Tour is one the most spectacular coastal experiences on offer in Cairns. Don’t miss out, book your Green Island Day Tour with us today! Hotel pick-ups are available from the designated location listed below for an additional cost.